avicii | Shut Up Hamish! 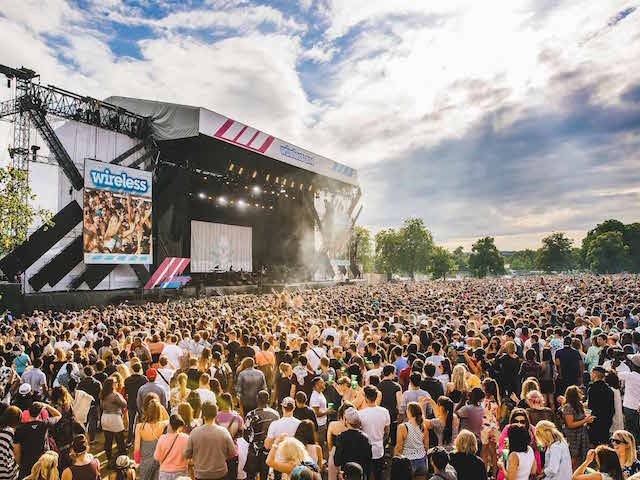 Yesterday Kendrick Lamar played as part of Wireless festival in London. I had a ticket for the day, having wanted to see Lamar live for some time. But having arrived at Finsbury Park i was overcome with festival snobbery and decided Wireless wasn’t for me. My feelings were probably due to the fact that apart from Lamar, the only other acts on the lineup that I would have had even a vague interest in seeing were Mary J. Blige, who I already skipped at Glastonbury, and Childish Gambino, who I don’t particularly rate. The fact that Avicii was headlining, an artist I dislike in a genre I particularly dislike, cookie-cutter radio pop house, EDM or whatever the currently label is, irked me further. 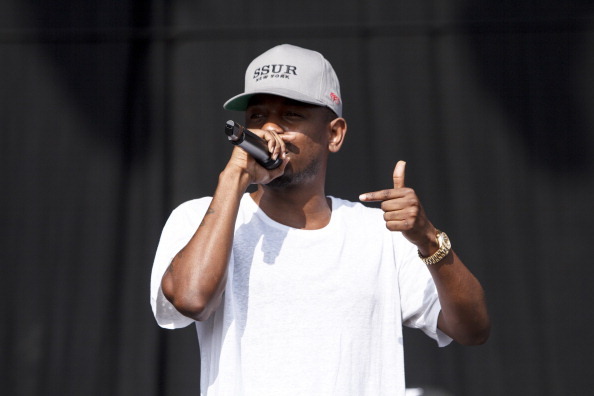 Why should Kendrick Lamar have only an hour, with his discography only getting stronger, him having probably the best album of 2015 after all, yet Avicii was given nearly two hours to stand on stage and cue corny pop anthems and tweak eq nobs on his CD-jay or serato set-up while the kids trips peak as the streamers and smoke and mirrors create the usual manufactured concert euphoria. I eventually decided this was not worth the 45 pound I paid for the ticket, and flogged it off to the first group I found who were buying. Seeing Kendrick live will have to wait, but instead I can review the vibe from outside Wireless Festival in the Finsbury Park grounds, North East London. The party was not confined to inside the walls and outside, hundreds were milling around in groups, publically drinking as this is legal in London, the atmosphere and prospects of getting a show for free attracting youths and hang abouts of all sorts. I may have left my ticket behind but not the festivities entirely. Instead a friend and I joined in with the free Finsbury festival happening that day. It may not have been corperate sponsored entertainment as per what was going on inside, but the outside festivities had a charm all their own, and plenty of entertainment, proving the youths can entertain themselves without needing big light shows and european DJs. The entertainment instead became all about finding a way into Wireless for free. The day before, some of these outside lingerers had managed to find a weakness in the fencing, providing the opportunity to get in for free. Saturday night, this was repeated except this time, security was ready and waiting. Word had got out through social media and those attempting to get in the second night had rapidly grown from the day before. I was expecting to see people attempting to break in, but also due to the police and security presence, had assumed this would deter the majority of attemptees. I was quite wrong. My friend and I had found a spot to sit, enjoy the sun and a few beers and perhaps enjoy some of the sounds leaking in from the festival beside us, when suddenly scores of people came running nearby. Quickly clicking to what was occuring, my friend and I caught up and followed behind. A weakness had been found in a back vehicle entrance, and people were pouring into Wireless in droves. Not long after, those same people were pushed back out, and a clash with gatecrashers and security ensured. 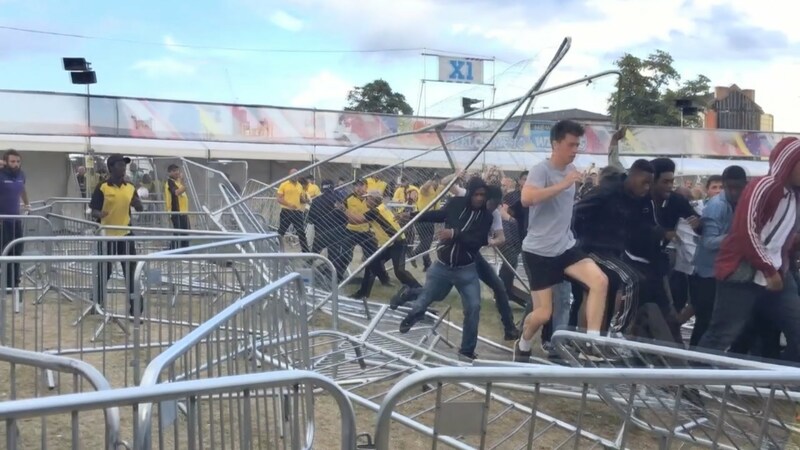 Now practically a full on riot, the crowd outside that had only swelled further took it upon themselves to sprint round the perimeter of Finsbury, making attempts to rip the Wireless fence down, a few making it over here and there, most chased away by security and police. Security were unable to physically attack the crowd, the police seemed resigned to let it take place and so arrests were not made and things were largely unviolent. As Kendrick took the stage this only convinced the mob to try harder to break in. Kendrick sounded great from outside, his anthems belting out as the mob took made final attempts to break down the wall of corporate music festivities. King Kunta sounded out and only made the kids try harder to get in. Kendrick’s set coming to an end, the mob gave up. No one breaking in was attempting for the sake of Avicii, it was Lamar’s street sharp anthems that were uniting a crowd of bored London youths. Someone later made the comment to me that such an event was evident of what happens when there is not enough afforable leisure options available for youths. With school out,what else is there to do but get drunk in a park and try and break in to where the fun is. This is perhaps evident of the organisef chaos that youth boredom can eventuate to, if on a scale of that of Londons. A microcosmic example of the London riots that have been, and will probably be back. An occurance like this anticipates that. All this keeping the desperate kids out of the entertaiment does make me think, why should the rich no pay for the poor, taking a leaf out of the Proms books. Once the tickets have all been bought up, if there are 300 people hanging outside, why not just let the doors open and let them in, rather than semi-violently keeping them out of the corperate funded entertaiment. The hack DJs, the bloated corperate sponsors, the venue owners will all still make a profit. It’s happened in the past, The Wall in Berlin 1990 for example, or early Glastonbury festivals where fence jumping was just an expected part of it. Or what about Woodstock, when over demand and not enough ticket supply led to it becoming a free concert. But it’s not 1969 anymore, and giant metal walls and police presence are the solution to keeping the poor or cheap out, and keeping the profit for the sponsors as high as possible. Bring on the next riots, they’ll probably be a lot more serious next time. Note: I’ve just read that some people were in fact hurt, and perhaps stabbed in the attempted mob break ins. 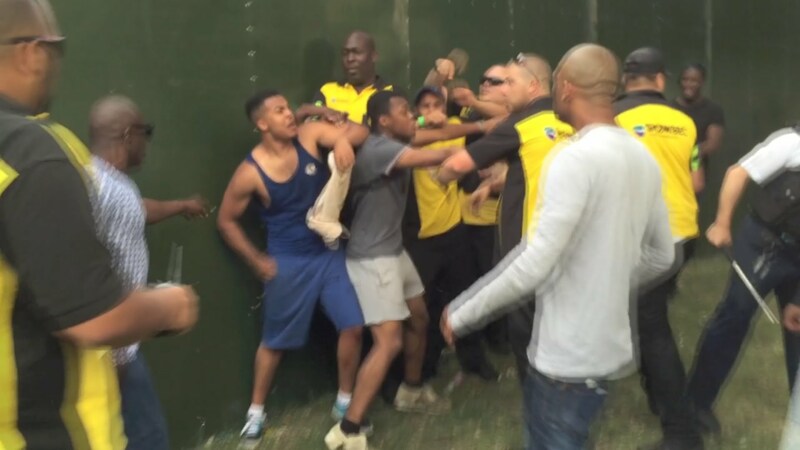 So to re-evaluate, breaking into a festival and using violence isn’t cool. I would probably recommend distancing yourself from such goings on. Also I don’t wish to insult the victims of previous riots – obviously personal casualties as well as property damage occured in the last London riots and I wouldn’t want to endorse any of that. In the future I think I’ll stick to reviewing the concert – and discussing why Kendrick Lamar is a much better choice of headliner than Avicii.